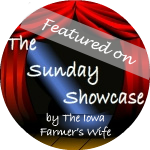 ***FYI: The Sunday Showcase blogs will be taking a break on 12/22 and 12/29 to spend time with our families. We hope you have a beautiful holiday season and we'll see you next year! 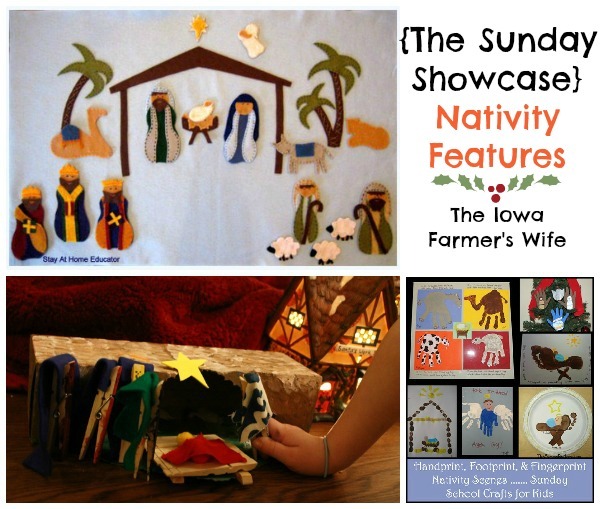 As we get closer to Christmas, our family is continuing to put the Nativity story front and center so this week I'm featuring some amazing Nativity activities from last week's linky. You can check out more Nativity crafts, activities and ideas on the Focus on the Nativity Blog Hop. Top Left: I don't have to tell you that I L-O-V-E this felt Nativity set by Stay at Home Educator, but I will anyway! I love all the detail and it makes me want to make one right now! Bottom Left: I absolutely adore this homemade Nativity set by Sugar Aunts. The thought and creativity her daughter put into making it is just awesome. LOVE the simplicity of it. Bottom Right: You definitely need to click over to Handprint and Footprint Art to check out these Nativity projects made with hand and feet prints! SO stinkin' cute!